The Windows logo key also known as the Windows key, the home key, the meta key, the start key, MOD4, or the flag key is a keyboard key which was originally introduced on the Microsoft Natural keyboard before the release of Windows 95. This key became a standard key on PC keyboards. Windows 8 is the basic edition of Windows for the x86 and x86-64 architectures. Windows 8 Pro succeeds Windows 7 Professional and Ultimate and is targeted towards enthusiasts and business users. Windows 8 Enterprise provides all the features in Windows 8 Pro (except the ability to install the Windows Media Center add-on), with additional features to assist with IT organization. Windows RT will only be available pre-installed on ARM-based devices such as tablet PCs, and was named for the Windows Runtime (WinRT) development platform that Microsoft is introducing in Windows 8. For general public, you need a Microsoft account, you can see all of the apps you bought from the Store and you can install any of those apps on up to five PCs. Because Microsoft Windows 8 handles activation differently, the grace period has been eliminated. Microsoft has ditched the 30-day grace period, a trademark of Windows 7, in the retail copies of Windows . For general public release, Microsoft requires a product key during setup because both Windows 8 and Windows 8 Pro and the customers must enter a unique product key — a 25-character alpha-numeric string — to proceed during Windows 8 setup. If you cannot provide the key, the process stops in its tracks. The version installed depends on the key provided. Windows 8 Enterprise, the version aims companies with volume license agreements, uses an entirely different mechanism for activation. Rather than ask the user for a key, it install the Windows 8 Enterprise and activates the KMS (Key Management Service) key that’s activates by an on-premises machine or a MAK key through internet. Here, (MAKkey scenario) most of the time the system failed to activate the product key. GUI option: Hit the Windows+R hotkeys to open the Run box and run the following command: slui.exe 3. Enter your MAK in the “Product Key” field shown above. As if there aren’t enough scenarios, Microsoft’s free 90-day evaluation of Windows 8 Enterprise does not require a product key. As with the retail versions now available to some users, and that will go on sale Oct. 26,2012 the evaluation automatically activates if the PC has a live online connection. All the Software assurance users, Windows 8 RTM is available for download from their portal itself. Windows 8 Release Preview is stable and has been thoroughly tested by Microsoft, but it’s not the finished product. Your PC could crash and you could lose important files. You should back up your data and you shouldn’t test Windows 8 Release Preview on your primary home or business PC. Install at your own risk. This copy is only for testing the OS. You can install the release preview from here. For detailed product and feature information, download the Windows 8 Release Preview Guide (available in English only). Microsoft Store – For general public, you need a Microsoft account, you can see all of the apps you bought from the Store and you can install any of those apps on up to five PCs. The advantage to following this process and creating bootable media is that it allows you to install Windows 7 without having to first run an existing operating system on your machine. 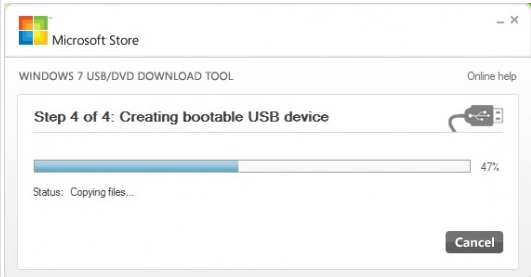 If you change the boot order of drives in your computer’s BIOS, you can run the Windows 7 installation directly from your USB flash drive or from a DVD when you first turn your computer on. You need to be an administrator on the computer you are installing the Windows 7 USB/DVD Download tool. The tool requires the Microsoft .NET Framework version 2.0 or higher. DVD-R drive or 4GB removable USB flash drive. When you connect a VPN network through Windows 8, how to disconnect an incoming virtual private network (VPN) connection in Windows 8 / Windows Server 2012. Swipe in from the right edge of the screen, or point to the lower/upper-right corner of the screen, and then click Search. Then, type ncpa.cpl, and then click the Ncpa.cpl icon. Another option is press Win+R to open the Run window, type ncpa.cpl, and then click OK.
Right-click the incoming VPN connection that you want to disconnect, and then click Status. On the General tab, click Disconnect.